I hope all is well and your holiday plans are coming together. I still can’t believe that it is December and Christmas is right around the corner. 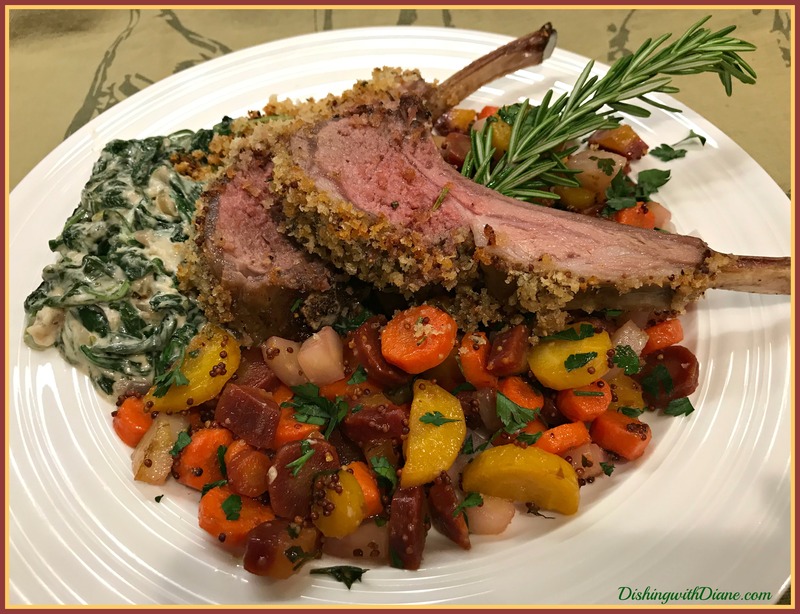 Last night, I posted on my private Facebook page a photo of my dinner that consisted of rack of lamb, glazed carrots and creamed spinach and I was shocked to receive over 392 comments. So many people want to make this meal for their holiday celebration that I decided to post all the recipes on the blog as a guide. I made the lamb and carrots from scratch but I have to say, I cheated because of time and used Boursin cheese to help me make the creamed spinach. I used the rack of lamb recipe from one of my recent cookbook purchases. The recipe in the book is slightly different from the Williams Sonoma website recipe printed below. I listed all the differences in the “Cooks Notes” below. 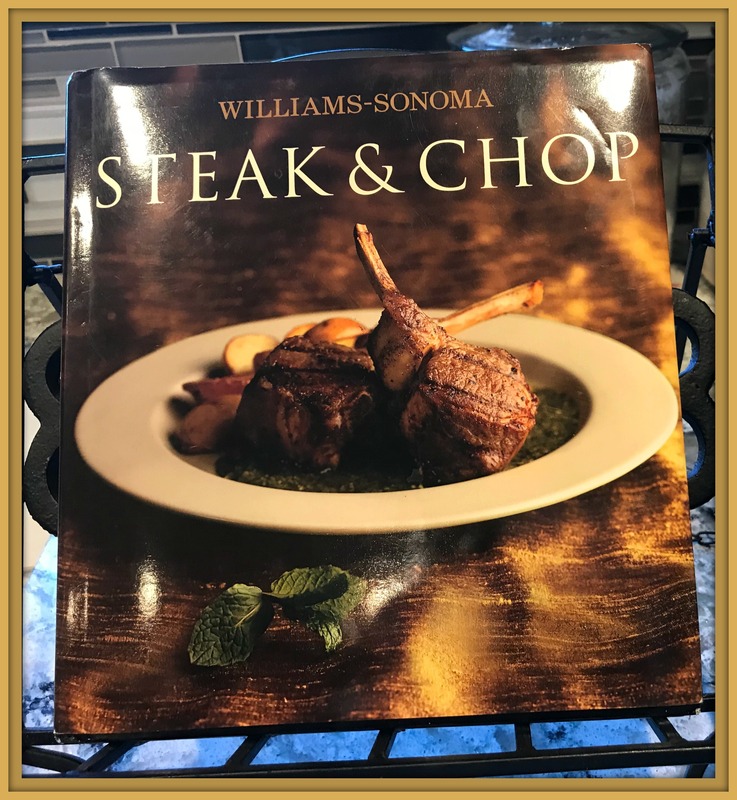 Williams Sonoma- Steak and Chop. Rack of lamb is elegant yet easy to prepare, making it a perfect dish to prepare for a special dinner party. Ask your butcher to French the bones—that is, scrape off any meat and fat from the top 1 1/2 inches (4 cm) of each bone—for the prettiest presentation, then carve the racks into chops at the table in front of your guests. Season the racks of lamb generously with salt and pepper. Spread the mustard evenly over the meaty sides of the racks. Let stand at room temperature for 30 minutes. In a bowl, stir together the bread crumbs, garlic and rosemary. Using your hands, press the bread crumb mixture into the mustard, covering the meat in an even layer and pressing the crumbs firmly so that they adhere. Place the racks of lamb, with the bread crumbs facing up, on a rack in a roasting pan. Scatter the radishes in the pan, around and underneath the racks of lamb. Roast until the crust is well browned and an instant-read thermometer inserted into the thickest part of the meat, away from the bone, registers 130°F (54°C) for medium-rare, about 25 minutes, or until done to your liking. Transfer the racks of lamb to a carving board, cover loosely with aluminum foil and let rest for 10 minutes. Sprinkle the chives on top of the lamb, then carve the racks into double chops and serve immediately with the radishes alongside. Serves 8. Cooks Note: I seared the racks first in a frying pan with olive oil to brown on all sides and set aside to cool before adding the mustard. Cooks Note: I added a little olive oil and 2 tsp. of garlic powder to the bread crumb mixture. Brown sugar caramelized with butter and Dijon mustard creates a sweet-hot glaze for carrots. A sprinkling of fresh chives adds a colorful finish. Bring a saucepan three-fourths full of water to a boil over high heat. Salt the water, add the carrots and cook until tender, 6 to 8 minutes. Drain well. Return the carrots to the pan and set over medium heat. Add the butter, mustard and brown sugar, season with salt and pepper, and stir gently to coat. Cook, stirring constantly, until the carrots are evenly glazed. Transfer to a warmed serving bowl and sprinkle with the chives. Serve hot. Boursin cheese makes a quick and easy sauce for fresh spinach. Make this dish for a weekend meal or special holiday dinner, and garnish with a little freshly grated Parmesan cheese. In a large saucepan, sauté the onion in butter over medium heat. When onion is softened, add the rinsed spinach. Cook, stirring until spinach has wilted. Stir in the Boursin cheese, nutmeg, and pepper until cheese is melted. Serve garnished with a little shredded Parmesan. This entry was posted in Lamb, Side Dishes, Vegetables on December 4, 2018 by aries041158. Thank you so much. 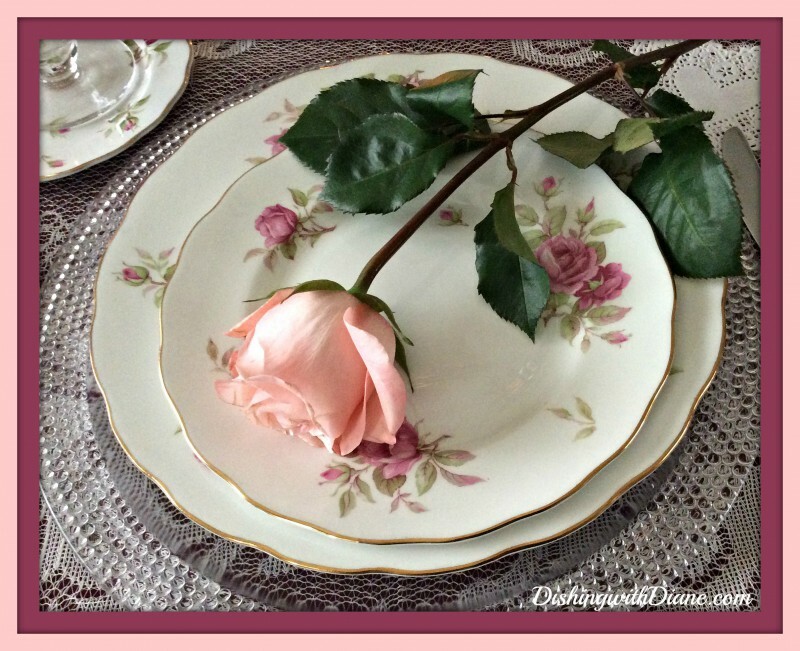 I appreciate your comments and that you read the blog. Happy Holidays.